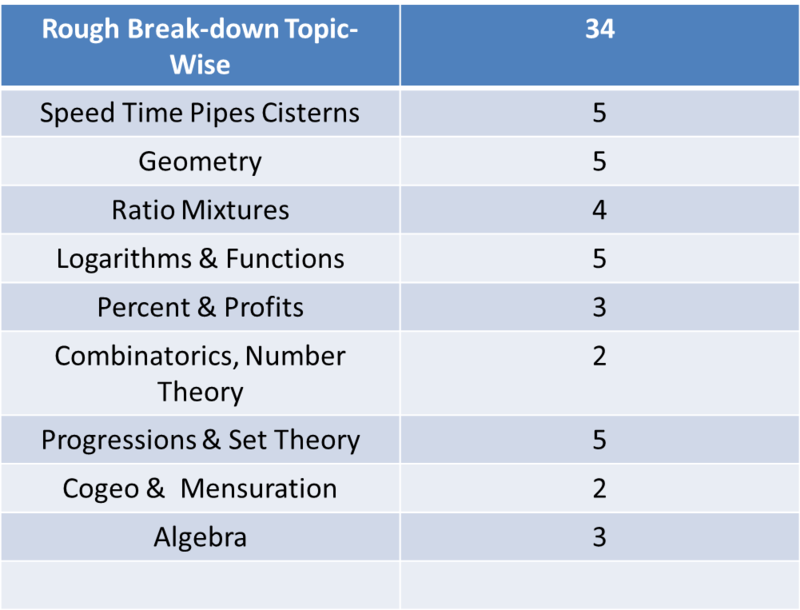 CAT Exam 2018 Analysis Slot 1 and Slot 2 - 2IIM. CAT 2019 Online Coaching, Classes at Chennai. The story of CAT 2018 was the level of difficulty of the Quant section. I (Rajesh Balasubramanian) have taken 8 of the last 10 CATs and I can confidently say that this was the toughest Quant section I have seen thus far. We have done a CAT 2018 Analysis of Slot 1 and Slot 2 on Youtube. Scroll down to have a look at that. I am going to jot down a few thoughts here. Quant was onerous; every question was multi-layered and time-consuming. 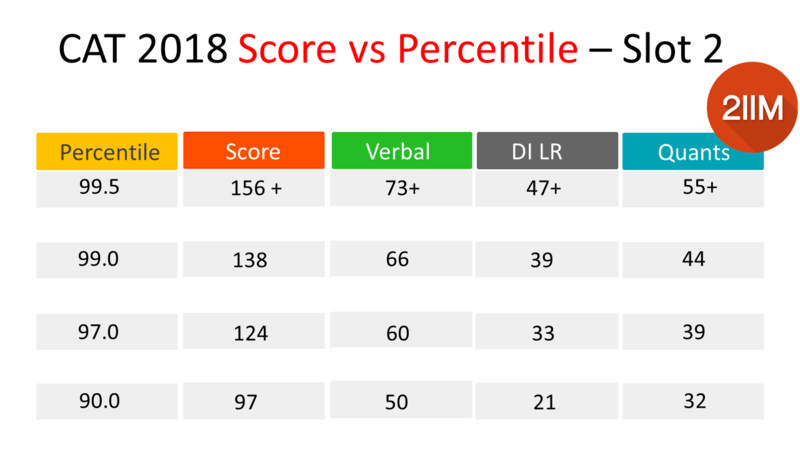 To give a comparison with CAT 2017, I would estimate that a score of 60-65% of the corresponding 2017 score would fetch the same percentile. On the other hand VARC and DILR were at around the same level of difficulty. Because of this jump in difficulty in Quant, the scores required for 99th or 95th percentile should also be lower than CAT 2017. Our estimates for CAT 2018 percentiles and scores are given below for both slot 1 and slot 2.Note that these are merely estimates and are not based on statistical analysis. Watch this to find out Experts Analysis of CAT 2018 Slot 2. Stay informed about our upcoming Live streams by Joining our Facebook group or Subscribing to our Youtube channel. Looking to prepare for CAT 2019? Learn from the best. As far as the CAT syllabus was concerned, a great many questions were from Arithmetic. Number Theory was not heavily tested at all whereas Geometry featured reasonably well. There were 27 questions of TITA kind. Those of you just beginning on this CAT preparation journey, click here to know about every aspect of How to Prepare for CAT? . Those of you feeling a little lost amidst all this talk of percentiles, slots, analysis, syllabus etc, click here to learn What is CAT all about?